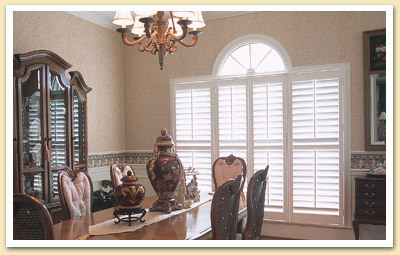 Shutters – Window Designs, Inc.
Beautiful custom window shutters at a price you can afford! Available in real wood or faux wood. Real wood can be custom painted or stained to match any finish. 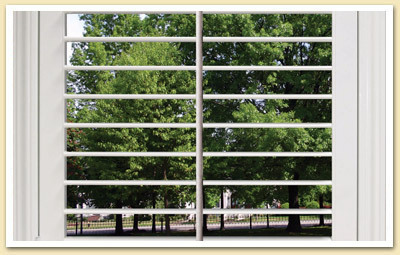 Available as an inside or outside mount, with 1 ¼ “ 21/2″ 3 1/2″ or 4 ½ louvers. Faux wood plantation shutters are made of a durable composite material, which makes cleaning as simple as using a damp cloth or sponge without fear of harming the satin finish. Plus they provide great insulation to lower energy bills. 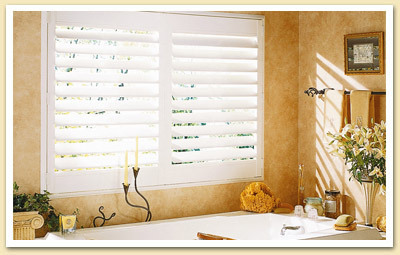 They won’t warp, fade, chip or peel when exposed to high heat or humidity, so you can use our faux wood shutters in bathrooms or around kids or pets. Impressive quality with a Lifetime Warranty. All brands are available.